It’s not often a 100-year milestone can be celebrated, but 2018 marks one of those times for Michigan wildlife. After unregulated hunting and a drastically changing landscape decimated the state’s elk population by the late 1800s, several individuals and natural resources groups worked to right that situation. Today’s elk herd dates back to 1918, when seven elk brought from western states were released near Wolverine in Cheyboygan County, Michigan. Learn more about that story in this brief video. From that reintroduction, numbers steadily climbed and reached the point where limited hunting was offered in 1964 and 1965. Canton resident Bob Preville was just 15 years old when he took down a wild Michigan elk on a snowy December day in 1964. 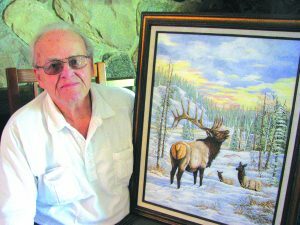 Gary Cole of Dearborn captured elk in a different way – with acrylic paints – and won the DNR’s poster contest commemorating the centennial anniversary of elk’s reintroduction. (Posters are available at DNR offices; call first to ensure availability.) Cole is a self-taught wildlife artist who has hunted elk in the western U.S. and now hunts deer in the Upper Peninsula. 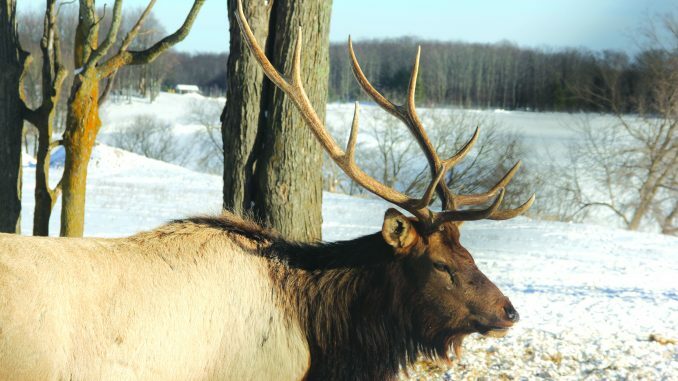 Elevating elk further, a wildlife habitat license plate featuring Michigan elk is available through the Secretary of State’s office. Plate sales help support the state’s nongame fish and wildlife habitat. Lady Rams heating up on the tennis courts!